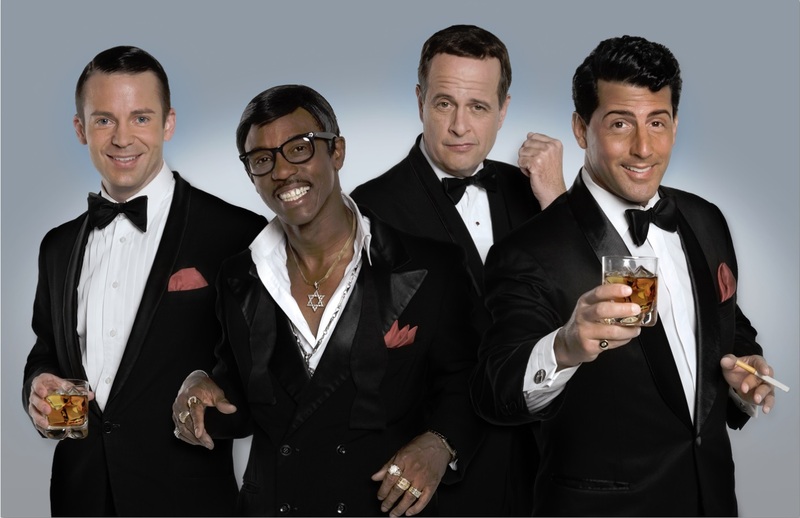 It was time for the eagerly awaited show that is the “Rat Pack Vegas Spectacular” at The Edinburgh Playhouse, that gives us a glimpse into the lives of Dean Martin, Sammy Davis , Frank Sinatra and Marilyn Monroe. As the show began, each tribute act sang their way onto stage, introducing us to the magic that was old Vegas. With an incredible brass section and band the trio delivered classic after classic with excellent vocals, sprinkling smooth humour inbetween & showing off their theatrical sides, especially when alcohol was involved. I would not be surprised if Dean Martin was born in a bar as he never seems to have been away from it during this show. Personally, I would have preferred more glam and glitter, with a bigger cast, & thought the production needed a little more “Boom and Bang.” Still, it was all entertaining enough, the second part of the show giving us My Way, New York, New York, King of the Road, You make me feel so Young, Ain”t That a kick in the Head, Get me to the Church on Time and many more… The dancers held their own, with great costumes and moves, while the band continued to deliver a captivating sound and Old Las Vegas . Marilyn Monroe gave us a touch of ‘Diamonds are a girls best friend’ and singing Happy Birthday to a couple in the audience, with the entire performance ending with New York, New York – a right choice, forcing the crowd to get to their feet, as I did myself, I enjoyed the dance and left the Playhouse feeling good about life – & wishing I could have seen these Icons of music at first hand. !!! !